In support of Big Brothers Big Sisters Wood Buffalo, Fort McMurray will be hosting their 4th SMS Equipment Wine Auction this Saturday, October 5th. 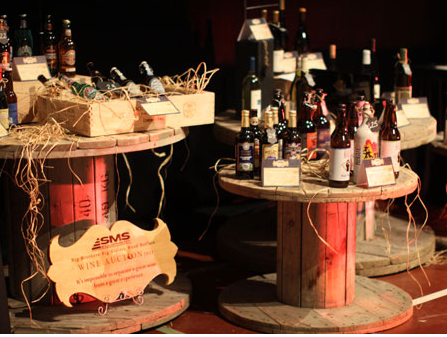 Each year this event welcomes 450 guests to take part in both a silent auction and raffle for numerous prestigious wines and spirits. Many of the wines to be featured in the auction are extremely rare and valuable. For example, wine hunter Dr. Carl Deane recently found a 1962 Chateau de la Riviere Fronsac, after a 22 km trail in caverns underneath the Bordeaux estate. This exact wine will be sold this weekend as part of the silent auction. Last year, the auction raised $120,000. The Fort McMurray auction will be held at Sawridge Inn and Conference Centre, which has been transformed into a whimsical “outdoor” park thanks to planning by Events With Vizability. 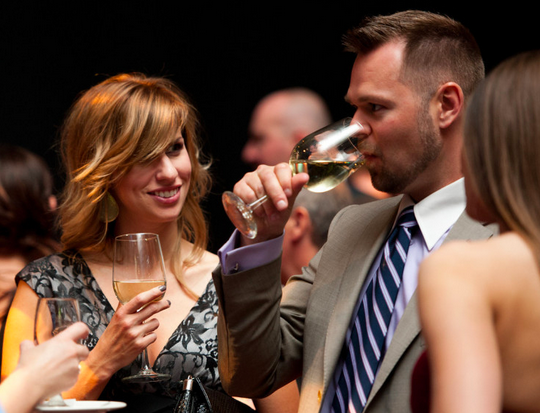 The event will also feature the CEDA International tasting room ($40) with 5 tasting booths. Performances by Juno nominee Suzie McNeil and local artist Becca Hess will also take place, making the entire evening full of entertainment. Tickets (which are more than likely 90% sold out) sell for $200 or 10 for $1900. We hope the event is truly successful and can’t wait to hear from our auction and raffle winners. If you can’t get to the event this weekend, keep an eye out for next years Fort McMurray Wine Auction and visit their website.